An update on CONQUEST tactical portfolio strategy as we get set to close out the year. Why should an investor care about keeping track of the economy? Isn’t it enough to just create a “set it and forget it” portfolio? We think investors should care about the economy for two reasons. First, theups and downs of the economy creates risks to avoid and opportunities toexploit. Second, the size of the economy determines the value of the stockmarket and drives long-run return. This is why we, as active managers, devoteso much time evaluating economic data. This month’s update of the barometer has a forecast reading near 50 over the next few months. This is essentially a “neutral” reading and tells us a “neutral” allocation to stocks and bonds is an appropriate tactical posture. 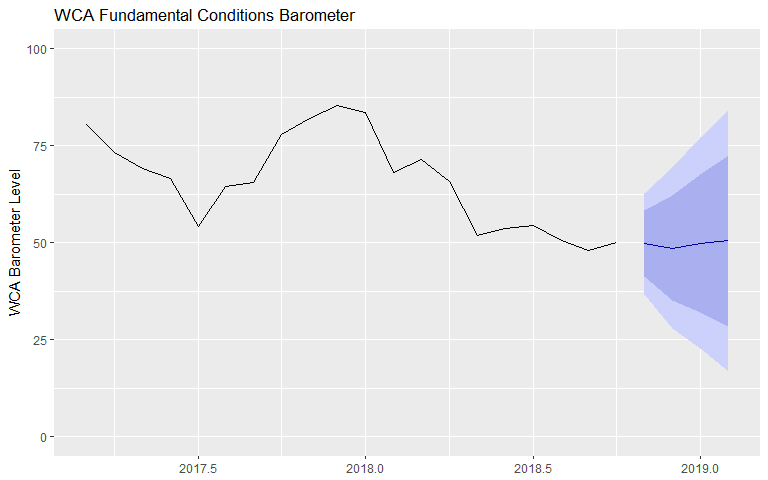 Negative trends in the foreign sector, and tightening financial conditions across global markets have weighed on the “barometer” since the spring. Accordingly, our tactical allocation to bonds has been raised, and stocks reduced. Beneath the month-to-month noise and crosscurrents, we continue to project lower long-run returns. The difference between our expected stock and bond return is the lowest since we began making such forecasts. This is important because it signals that we may be entering the later stages of this phase of the bull market. If so, defense becomes a more important aspect of the returns game. Cash returns in the form of dividends and share repurchases are likely to account for a larger share of return going forward. 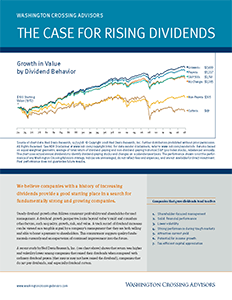 Focus on consistent profitability, sustainable dividend growth, and conservatively financed businesses. We continue to favor U.S. over foreign; value over growth; high quality credit over low; and shorter over longer duration at this point in the cycle. In a lower return / higher volatility environment we see active management as playing a more important role for many investors. As an ever-changing market environment creates opportunities to exploit. An unbiased, disciplined, tactical approach is one way of approaching the market environment we see ahead. 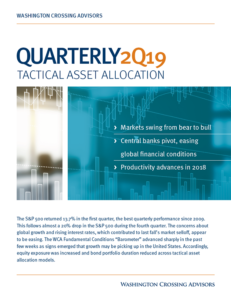 For more on our long-run outlook, please read our latest Quarterly Tactical Asset Allocation Report.